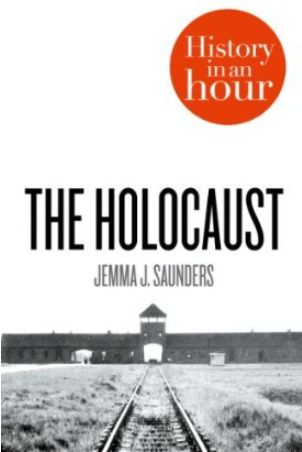 My first eBook, The Holocaust: History in an Hour, was released on 7 November 2013. It is also available as downloadable audio. Sexist ‘Fit Fresher’ List Leaked at Oxford University – Is Alcohol to Blame? Jewish Student Assaulted in Nazi Drinking Game – Is Anti-Semitism on the Rise at LSE? Amazon Kindle Paperwhite Hits the UK – The Best E-Reader Yet? Will Arming Teachers Prevent Future Massacres in US Schools? Release of Amazon UK Kindle Fire HDX – Is it the Best Tablet Yet? Will Amazon offer a Black Friday Deal on the Kindle Fire HDX? PERSONA is the world’s first ongoing soap opera for smartphones. My friends and I produced one of the storylines for Season 5 and as head of social media, I created this WordPress blog to chart our journey in April/May 2012. The Editorial: Is Listening To Literature Better Than Reading It? The following were all written during a copywriting internship that I undertook from November 2011 to February 2012 at The Blue Cube, an online marketing company. I’ve categorised these by topic. Will Capsized Cruise Ship Cause An Environmental Disaster?